In advance of the Criers’ concert at Jordan Hall this Friday, violinist Jesse Irons reflects on a program that encompasses Tchaikovsky’s Andante Cantabile, Vivaldi’s: Concerto for 4 Violins in B minor, Mozart’s Violin Concerto No. 4 in D Major, and Haydn: Symphony No. 44. 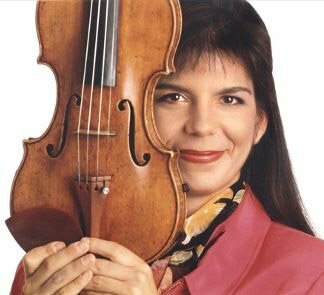 Some years ago, my dear Peabody Conservatory violin teacher Shirley Givens was excited that her star pupil Pamela Frank was coming to perform as soloist with the Baltimore Symphony. Givens had her ways, and she finagled the entire studio to attend a dress rehearsal where Pam performed the Beethoven Violin Concerto, followed by a chat. The stunning performance showcased Pam’s incredible ability to weave in and out of the orchestral textures: to soar above when needed, and to almost embed and strengthen the orchestra when the part called for it. It was an entirely egoless performance, all about Beethoven’s intention, and the music was fully alive and moving. About a year later, Givens, planning to be away for the week, had arranged for a special guest teacher for her studio. I was extremely nervous for what would be my first lesson with Pam, but I pulled out Mozart’s Violin Concerto in D Major No. Four. I remember playing through the first movement and being out of breath. Pam asked, with a smile, “how do you feel?” Tired, I said. Pam looked at me and said, “You better not be tired, you have two more movements to play!” I was instantly smitten. After the lesson, I bought her recording of the Mozart violin concertos and I’ve probably listened to her recording of the fourth 100 times. In fact, I used to tune my violin to it! Eventually, in the realization of a dream, I ended up studying directly with Pam for three years. Every week brought new delights, new laughter, and new insights. Without a doubt, my entire musical personality blossomed with her guidance. Since helping to start A Far Cry in 2007, I made a habit of checking in with Pam every few years to see if she would play a concerto with us. Many of the Criers have personal connections with Pam, and when she said “Yes!” a year and a half ago, we immediately got to work. At the end of each year in Pam’s studio, we would have a final class that would end with a bunch of multi-violin concertos all played together for fun. The Vivaldi Concerto for four violins in B Minor was one that we played then. On Friday, the four violin soloists will be Pam, two Crier violinists who are her former students, myself, Omar Chen Guey, and a wonderful current New England Conservatory student named Sophia Szokolay. In fact, we’re featuring young musicians throughout the orchestra from New England Conservatory, NEC Prep School, and Project STEP. One of the most important things we Criers can do is work to pass on our own legacy to the next generation of string players, one of whom (I was shocked to learn) has been attending AFC concerts since she was 5 years old.